A market leading digital football platform that redefines the fan’s experience of a football club website. Matchday Live site takeover allows fans to follow the action and get up-to-date content on matchdays. The Match Centre is where fans can read match reports and stats, watch highlights and see the upcoming fixtures. Player Profile pages let fans track their favourite players performance stats, as well as their latest news and videos. 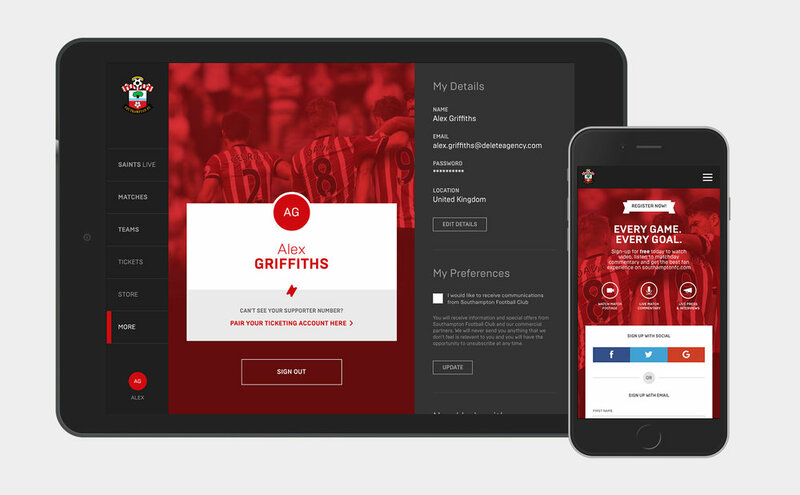 Fans can sign into their accounts to watch exclusive video content and stay up-to-date with the latest Saints news via email. Saints fans' reaction to the new website launch on social media.